Reviews of the Nikon Coolpix L340 from around the web. 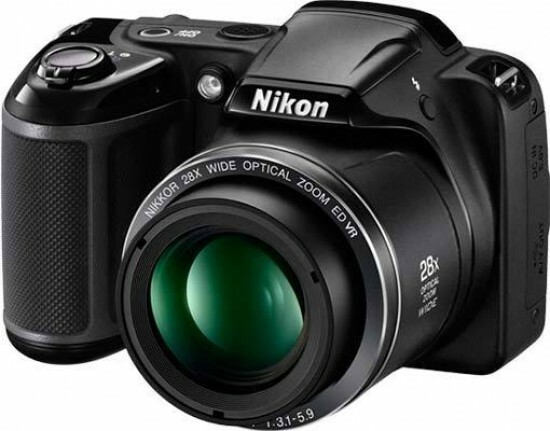 The Nikon Coolpix L340 is a low-cost superzoom bridge-style camera that updates the L330. Its main selling point is its 28x optical zoom which gives a 35mm-equivalent focal range of 22.5-630mm. Images are captured on a 20.2MP sensor and power comes from four AA batteries. The Nikon Coolpix L340 is available for around £99.